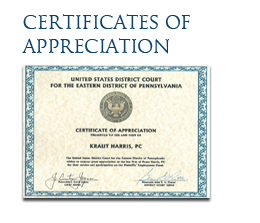 Information & Disclaimer | Kraut Harris, P.C. Legal advice can never be provided over the internet. We cannot offer any advice whatsoever until an attorney/client relationship has been established. The lawyers of our firm are licensed to practice law in the Commonwealth of Pennsylvania. Among the bar admissions held by the various lawyers of the firm are: the Supreme Court of Pennsylvania, the United States District Court for the Eastern District of Pennsylvania, the United States District Court for the Middle District of Pennsylvania, the Third Circuit Court of Appeals, and the United States Supreme Court. 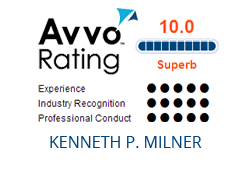 Additionally, our lawyers appear regularly before local, state and federal boards and administrative agencies. 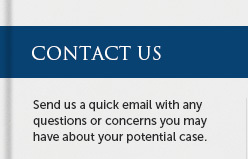 Nothing contained in this web site should be deemed legal advice or an offer to represent you. 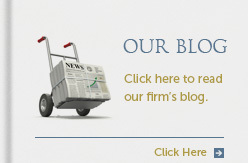 Accessing this site does not establish an attorney-client relationship between you and any lawyer in the firm.